There is no time like present for Unics Kazan's Quino Colom. 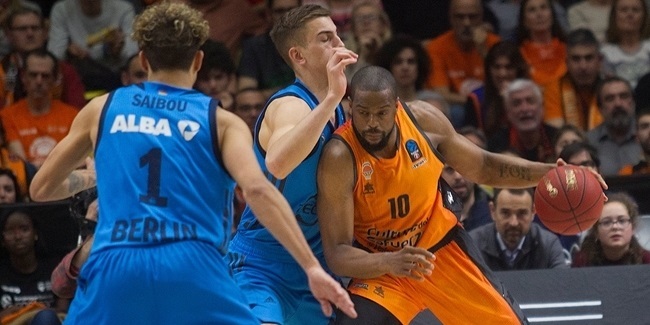 The player from Andorra is going through the sweetest moment of his career as he managed to complete another impressive performance to become, again, the weekly MVP for the Last 32, Round 2 thanks to an index rating performance of 47, the highest this week in the Eurocup. This is Colom's third weekly award in the last four rounds, for a personal career-high which also ties for the sixth best individual performance ever in the competition. Colom scored 23 points (including 12 of 13 free throws), 4 rebounds, 10 assists, 5 steals and an impressive 13 drawn fouls. 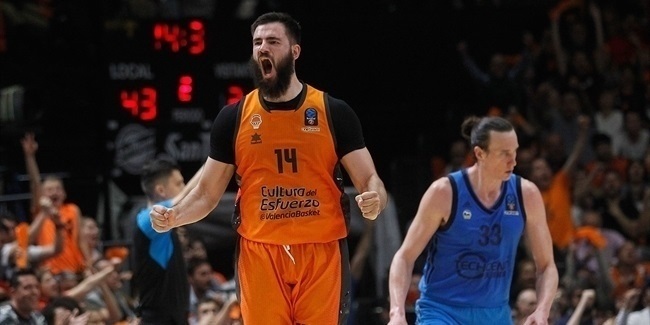 In his last six Eurocup games, Colom has been averaging a 30,1 index performance rating. Following him this week, Michael Green of Umana Reyer Venice with a 42 index, thanks to 24 points (behind 10 of 10 free throws), 7 rebounds, 11 assists, 1 steal and 9 drawn fouls. Completing this week's podium, two players tied at 32: Blake Schilb of Galatasaray Odeabank Istanbul and Antoine Diot of Valencia Basket. Another Unics player, Keith Langford, was on fire this week on the scoring department as he led all scorers with his 27 points. Diot, Schilb and Banvit Bandirma's Adrien Moerman followed suit with 25 points each. Trevor Mbakwe of Maccabi FOX Tel Aviv dominated under the boards thanks to his 14 rebounds (9 defensive, 5 offensive) and Green was the best passer of the round thanks to his 11 assists. 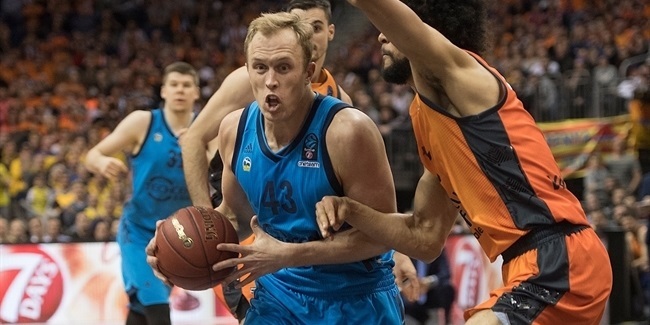 On the defensive side, Colom himself and Chris Weiler of ratiopharm Ulm stayed sharp with 5 steals apiece, while Tony Gaffney of Hapoel Bank Yahav Jerusalem and Evgeny Valiev of Zenit St. Petersburg collected 3 blocks each to round up this week's best individual performances.